In January 2019, the UK higher education funding bodies published the final guidance and criteria for REF 2021. 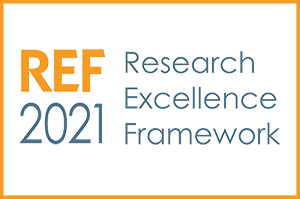 The guidance on submissions details how UK universities should make their submissions to REF 2021 and the panel criteria and working methods describes how the REF 2021 panels will assess the research. The documents have been developed by the REF’s expert panels and the four funding bodies following the sector consultation over the Summer 2018. The Guidance has been updated to make it clear that staff on T&R contracts who are not independent researchers should be identified through the processes that the HEI has put in place to identify staff with significant responsibility for research. For the purposes of the REF, an independent researcher will be defined as individuals who are employed to undertake self-directed research, rather than carrying out another individual’s research programme. It is not expected to cover research undertaken by individuals outside their contracted responsibilities. On the basis of this definition, it is not expected that the majority of postdoctoral research assistants employed on project or programme grants will not be eligible for submission. The funding bodies have decided to permit the submission of the outputs of former staff made redundant because of the significant unintended consequences of doing otherwise. The REF encourage institutions to consider carefully their approach to submitting the outputs of former staff who have since made redundant and reflect on whether it is compatible with the intentions of the policy of non-portability. The guidance has been updated so that UoAs may submit a maximum, of five per cent non-compliant in-scope outputs, or one non-compliant in scope output, whichever is higher, per submission to a UoA. In developing the criteria proposed within the CoP, the University is committed to open, two-way meaningful communication with all staff to ensure processes are fair and transparent. Open campus meetings are currently being finalise and more information will be posted shortly.